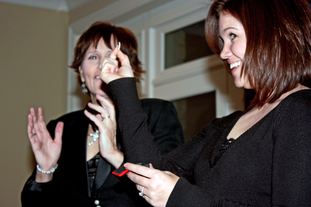 I am a children's and family magician and balloon twister in Atlanta, Georgia. 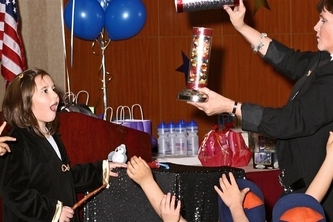 I believe in creating magic by bringing happiness to others and teaching children that they can achieve the impossible. I believe real magic is in a child's smile, in their laughter and in their triumphant recognition when they succeed. 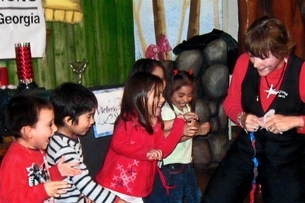 In my magic shows, there is a variety of magic, illusions and comedy to suit all ages. I am sensitive to special needs and I make sure everyone is included and no one feels different. I can communicate in sign language and can also perform shows for the deaf. Along with magic, I also create optical illusions and impossible objects using art, science and math. 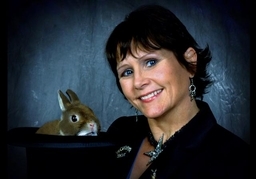 I include some of my award winning original illusions to trick the eye and the mind in my shows as well as in my math and science demonstrations. Many of my optical illusions and impossible objects are published in magic, math, science and puzzle articles, magazines and books. are full of whimsy, magic, laughter and are tons of fun! The children are the stars of the show and by the end of the show they have had had a blast and the experience of a lifetime! Yes, that is my ring!! youth event, church, school or corporate event.